CAPTCHAs are the visual challenges to verify a user isn't an automated attack. Traditionally, they are the wavey images users might be able to read. Animated captchas make it harder for automated systems by moving text around. The more sophisticated versions leverage the human brain's ability to process complex visual scenes as objects move in front of each other. People have never been exposed to 4D captchas (moving, 3D Captchas). Could they use them and if so, how quickly could they learn to do them in a reasonable amount of time? Here are some result data from this first usability study. This chart shows 240 of the total 251 valid tests. Looking at the aggregates across all captchas, I tossed out the 3 users with: the fastest, slowest times, best and worse scores (11 total since 1 test fell into 2 categories). The captchas are in order as they were presented in the test (right-to-left). Everyone got captchas presented in the same order. No feedback was given if the captcha was answered correctly or not. The test just moved on to the next image. Accuracy is green and higher is better. Range goes from -1.0 -> 1.0 and is based on a fairly complex algorithm. (see Scoring Challenges section below). Time is blue and lower is better. It is measured in second from when the image finished loading until when the answer was submitted. mHkRvh is the first 4D captcha presented where the red line is drawn. (see Captchas Used in Test table below). I didn't include scores for people who didn't complete the whole test. I need to go back and figure out drop-off rates. Accuracy score is a non-trivial calculation. This seems like a simple algorithm like (Letters Correct / Total Letters) a good measurement; however, there are some cases where it doesn't work very well. In particular, if a user mistakes two letters like 'rr' for a single letter like 'm'. Technically, this is a single mistake, but it is counted as two: an 'r' is missing and the other r is replaced by an 'm'. I have an alternate scoring approach below that tries to compensate for this form of mistake. This chart was created using Google Charts. One interesting challenge was scoring "correctness" of an answer. The naive approach would be to just do a straight letter-by-letter comparison; however, if the user omits any character near the start of the answer, then the score looks worse than it really is. This becomes even more complex for the rotating captchas were the user can start the answer anywhere. Answer: 'CDEFAB' is 100% correct. 1 letter incorrect. C missing. Actually 100% correct, just starting typing loop over again! Not really a mistake for a looping captcha. 1.5 letters incorrect. B was mistaken for an 'I3'. Technically, this is a single mistake, but two letters are wrong. I've worked out algorithms to calculate scores for all these scenarios. I'm not convinced it's perfect, but it's a good start. score -= 0.5  # missing or extra char is only 1/2 off. This function returns scores in the range of -1.0 through 1.0. 1.0 is perfect, 0.0 means as many characters correct as wrong, < 0 means more character incorrect than right. This bit of code is also used to figure out the best alignment when looking for missing or extra characters in answer. The '_' character is used as a marker for a missing character. I wanted to weight incorrect characters more heavily than mistyped characters to improve this alignment. The scores kind of reflect this. However, this technique also gives lower scores to much shorter captchas (so all the 4D captchas). For example, 2 mistyped characters 'rr' for rrediali [RD684] results in a score of 0.73 since it's 13 characters long. While 1 mistyped character for NyYP3r means an even lower score of 0.67. The test tracked all keyboard and mouse events within the page. One interesting event was how often the user had to delete something they typed. We can see the the "reediali [RD684]" and mHkRvh captchas gave people the most problems. Again, we see that, although 4D captchas are considered very difficult, their success rate is better than equivalently difficult traditional captchas did in this particular set of tests. People hate captchas... a lot. I get that. When a user is trying to do something on a site, like remember their password or sign up for an account, being forced to solve a captchas is similar to having to find the right key to open a locked door. It's not their actual goal, but an obstacle stopping them from doing what they want. Being annoyed and disliking captchas is understandable. 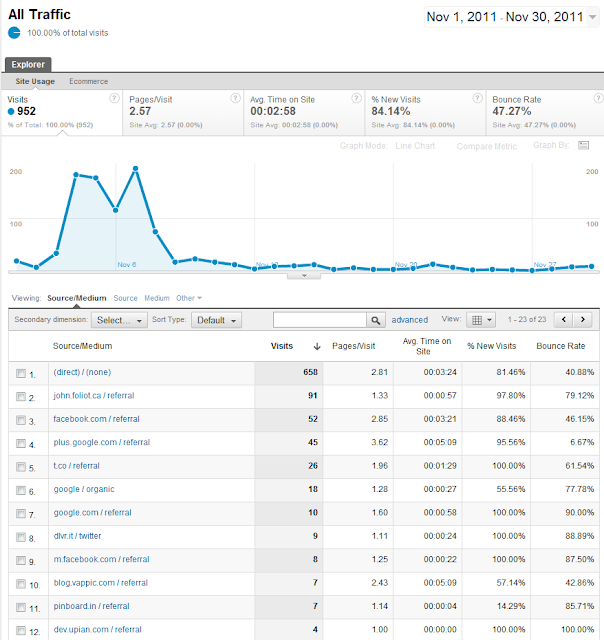 However, a lot of usability traffic came from people who are actively anti-captcha. What is your level of knowledge regarding Captchas? 36 Have a little knowledge of wavy letters used around the web. 22 Can spell Captcha correctly, but that's about it. 159 Already knew about Captchas and why they are required. 63 Know what C.A.P.T.C.H.A. stands for without looking at wikipedia. 36 Have designed/added support for Captchas on a website. 6 Have written code that mock current, weak Captchas! Do you have any opinion about Captchas? 26 Really hate them... no really. 79 Find them annoying, but whatever. 67 Accept them as a necessity and I floss daily. 0 Understand the necessity, but feel they could be better implemented. 19 Enjoy these Turing tests reaffirming my humanity. Post test questions about special conditions. Of the 241 tests used, 22 users indicated having some condition that it might have some effect on their results. 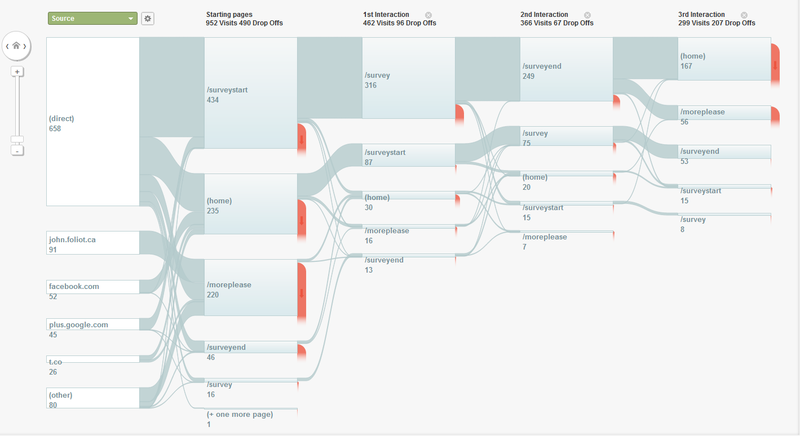 Here's some screen shots from vappic.com's traffic during the usability tests. The developer of this little bit of misery (an ex-Google employee no less – he should know better) has posted his email address (tomn@vappic.com) and so one thing you can do is write this guy and give him some appropriate type of feedback on this project: I’m not advocating an email equivalent of a DOS attack, but hearing from tens or hundreds or even thousands of end users encouraging him to go pursue another type of project might get his attention. Irony is, DoS attacks are stopped by technologies such as captchas. Still, his little rant got reposted to other blogs and I think the users base was slightly skewed as a result. I welcomed the traffic though. David Jeske sums up a reasonable point of view on captchas in his various Vappic discussion group posts that reflect my feelings. The anti-captcha viewpoints are also listed on the site. When first designing the animated GIFs there were lots of decisions. How many frames are needed: 30, 60, 90? How fast should the animation be (fps)? What dimensions would be big enough? How many colors should the GIF have 4, 8, 32, 254 colors? Each parameter effected the usability and file size of the images. - 72 frames at 0.09 sec/frame (~ 11fps). Total playback duration is ~6.5sec. It would be nice to do more usability tests to determine what combination of animated gif parameters is really ideal, but I don't have an unlimited pool of testers and I wanted to gather data related to people's first exposure to 4D captchas. The choice of only using 4 colors was intentional. The thought is that fewer colors provides less information for OCR (computer based character recognition) to reverse engineer the model and guess the captcha. Contrast was just too low on the GIF images. This was my fault. When generating the captchas in POV-Ray it's very difficult to control the image contrast. I've since found a solution in the post production phase when the images are turned into animated gifs. People complained about extreme camera movements. The Trig function SIN() used for camera movement has "bump" effect when it reaches the end of a cycle. It was a little too jarring. However, while people complained about it, the scores seem better than ones with minimal camera movement. People quickly got better at 4D captchas with just a little bit of practice. The first 4D captcha took 25.69s and had an accuracy of only 0.892. By the 5th and last 4D captcha, that had improved to 10.92s and 0.988 accuracy. The animated gif is only 6.5 seconds long, but the first letter doesn't come around until frame 24 (2.16s into animate). So, it seems likely that most people were able to type the captcha on the first rotation. Accuracy is on par with the easiest, standard captcha in the test. This one had a 0.987 accuracy and took 9sec to solve. It was the first captcha in the test, so we can assume the speed and accuracy might be lower because of its position. NyYP3r captcha is interesting. We see a noticeable drop in accuracy and an an increase in time to type it. Here's a breakdown of the top answers for this captcha. Mistakes are in red. Looking at the NyYP3r animation closer, you'll notice that the bottom part of the lower case 'y' rotates out of frame and is clipped. This might account for why so many people got this character wrong. Table showing top answer clusters for each captcha. Lots of people mentioned loosing their place in the rotating captcha when they looked down at the keyboard. This is a solvable problem by using a different 3D model; however, one solution someone found was to read the 4D captcha out loud as it spun, then typed the whole string into the answer box afterwards. There is probably lots of other interesting conclusions that could be drawn from this first usability test. For example, one tester waited over 30seconds for images to download and display. Here's some of the test data that's been anonomized and processed: Google Spreadsheet. I used several technologies when creating Vappic. The captcha images are rendering using Python and POV-Ray, then turned into animated gifs using Python + ImageMagick + Gifsicle. And naturally, one of the bigger pain-points was dealing with Internet Explorer. It ended up only being 3% of my users but a significant amount of work. Really interesting results. I always love to see people taking on the terrible user experience with CAPTCHAs. I'd love to see the 4d captchas served in a random order to see if time decreases as a function of familiarity or just because they hardest are first. I suspect that, as you mention, the added video movement contributes significantly to the decrease in time. You could also use the same letter combinations with and without camera movement to see how much those contribute. Also, I'm curious to know if you apply the same complex scoring to the other CAPTCHAs. Do you allow for things to be missing/typed out of order/etc? If not, this would increase the accuracy rate because of a better scoring algorithm rather than just because of a better CAPTCHA. Thanks for this great summary! As someone with the accessibility issues mentioned (migraines in my case) who was outspoken on the message board, I tried this again. I was able to figure out most of the 4D ones this go-round, but it took a few tries and I had to stop in between each try and then each captcha to look at another page for a bit. (Obviously, one wouldn't be solving multiple captchas in a row most likely.) The reading aloud tip helped and was pretty much the only thing that got me to figure it out. I waited for the clear beginning of the string and slowly read it out, then typed out what I'd just said. That worked for me, but I could see others having trouble keeping that straight in their head. Yes, the same scoring algorithm is used for all CAPTCHAs. (missed / extra letters for handling when a letter such as 'm' is read as 'rr'). In fact, this scoring approach is harsher on shorter CAPTCHAs for mistakes like all the 4D ones in this test. I'd love to do more complex tests like mixing up the order or using the same characters by vary other factors; however, I was worried I wouldn't get enough testers for good data so I stuck with the basics. Hopefully, I can mix it up in future tests. I did try to start off with what I perceived as easier tests and progressively made them harder; however, the fact that the highest score was the last Captcha shows I wasn't very good at guessing. Interesting observations about retaking the test! Thanks. I'm going to copy your 6 spheres comment to that blog post and reply to it there if that's ok. I know the debate is raging, but a simple question - have you considered testing your 4D captchas on people with visual impairments, and with attention / movement related conditions such as ADD and aspergers? Without some large sample data on that all that the two sides will be able to do is spout opposing philosophies at each other.